Beck and Titus were inspired first by the Ford RS 200 Group "B" rally car and then by the Renault 5 Turbo. 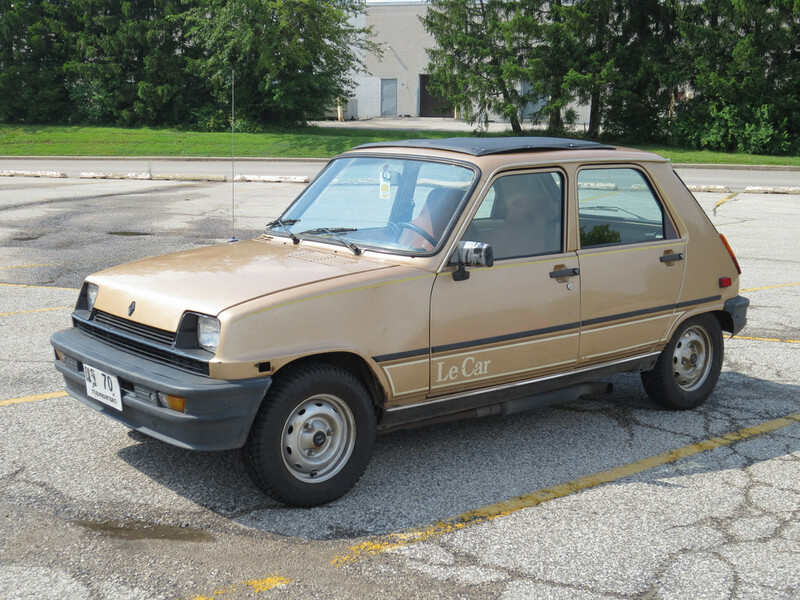 The little Renault started life as a mild mannered econobox much like the original Festiva. Sold in North America as the Renault Le Car its 1397cc front mounted engine pumped out a mediocre 55hp through the front wheels. In its stock form it was even used as a police car in a couple of places (story here). Available in both three and five door models it was the former that was transformed into the Renault 5 Turbo, and later the Turbo 2. Stock Renault Le Car in its 5-door variant. Link to source in properties. What the Renault engineers did to transform this basic transportation into a Group "B" rally monster was simple... they stuffed a turbocharged 1.4l engine behind the front seats transmitting 158hp through the rear wheels! The improvements in performance were quite noticeable to say the least! The story behind the development of this hot hatch can be found by following this link to an article on the Rally Sport Magazine site. Renault 5 Turbo at Zandvoort. Photo credit in properties. It's plain to see where Beck and Titus got the idea for their Shogun project! So there you have it... an econobox transformed into a hot hatch! Be sure to check back in the coming weeks for more examples. Next up... the Dodge Omni. If you have any suggestions for upcoming posts please be sure to leave them in the comments section below!